As DEP's biologists and foresters, we work every day to foster a healthy environment. When we perform work in the forest, we make sure the impact is minimal and that the ecosystem is not only restored quickly, but also has greater value than it did before the management. The activities are conducted in accordance with the NJ Wetlands Best Management Practices Manual, the state-wide guide which standardizes the methods, measures, and practices used to protect, maintain, and preserve water quality. The activities are small in scale and they do not obstruct the water flow. The work does not consist of clear-cuts in a wetland, exempt under certain circumstances deemed necessary by the New Jersey Forest Service to regenerate the stand. We address any potential impacts to wetlands-dependent threatened or endangered species. The Forest Management or Stewardship Plan's prescribed activities, including wetlands activities, are reviewed and approved by the New Jersey Forest Service. DEP proceeds with the activities only after this approval. DEP consults with the USDA Forest Service's Natural Resources Conservation Service to ensure our methods have no negative effects on soil erosion or water quality. In addition, we have expanded buffers near concerned communities and to protect water quality. DEP's policy is that activities on state lands be consistent with the protection and preservation of rare biodiversity, forest resources, and cultural resources. Division of Fish and Wildlife performed preliminary field surveys for endangered and rare plants in 2013 and 2014. 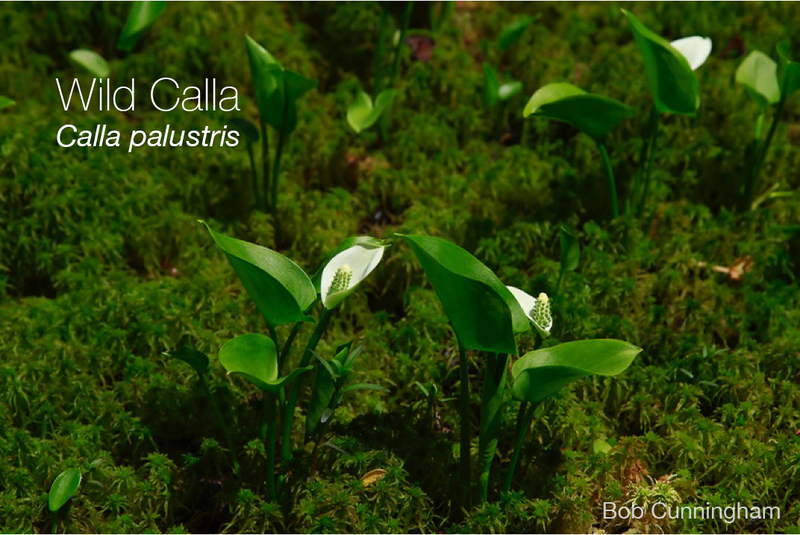 These surveys revealed a highly diverse forest flora in the Sparta Mountain WMA. 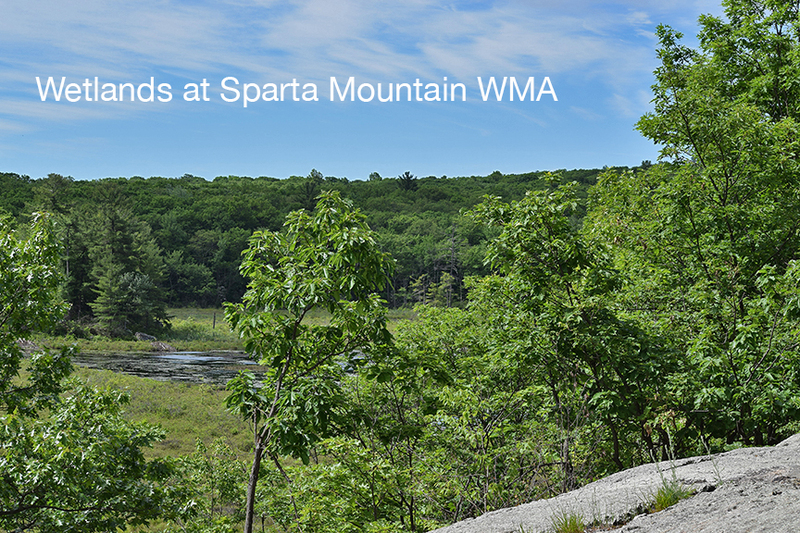 Before any activities are performed at Sparta Mountain, DEP will perform additional surveys of forest tracks targeted for management to determine if and how to proceed. The forest stewardship plan and any stand practice plans will incorporate rare plant occurrence data to ensure that management activities will not impact the plants or their habitats. 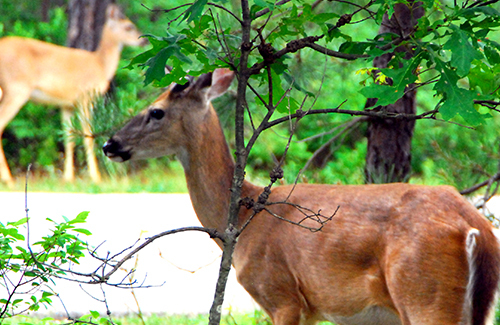 Deer browse refers to what deer eat—the leaves,twigs, and buds of a variety of plants. To help regeneration of the young plants on the management sites, we work to keep deer browse to a minimum. Data will be collected during annual site visits, and evidence of deer browse will be recorded and tracked. Browse will be carefully analyzed on a parcel by parcel basis in order to alter management strategies when necessary. As invasive exotic species pose a threat to native plants and wildlife, we will monitor for invasive species populations during the project. Fortunately, we have found low occurrences of Invasive plant species in management areas, if present at all. If needed, herbicide application will be done by licensed applicators following strict protocols. We use treatment methods which directly target individual plants. These techniques use minimal herbicide with little to no residual herbicide migrating into the soil.